This time, we head to Pain de BRUN, a bakery at Kugayama Station, three stops towards Shibuya from Kichijoji on Tokyo’s Keio Inokashira train line. 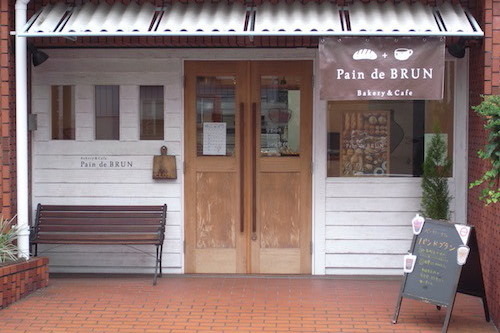 At a tempting spot to stop by along a quiet stretch of “Hitomi Kaido,” a well known street that traverses this part of Tokyo, has been Pain de BRUN since July, 2015. From the outside, the shop looks more like a stylish café than a bakery. Open the door, and the warm smells of fresh baked bread gently waft your way. Pain de BRUN’s bread contains no eggs or dairy products, which is good news for allergy sufferers. Also great for vegetarians, of course! By saying no to refined sugars and refined salts, the bakery strives to do best for the body with its bread. 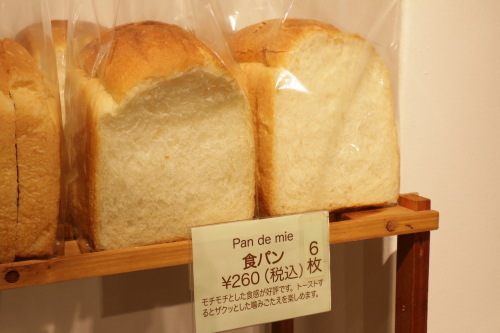 The most popular item is the standard “shoku pan” (pan being pronounced “pahn,” as it is from Spanish), which is a thickly sliced loaf bread that’s perfect for toast. Only natural yeast is used, and the quality of ingredients shines through from first bite. 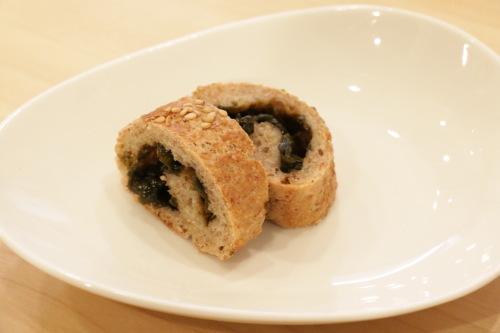 Taking their standard “shoku pan” to the next level is their bountiful rye bread. The addition of rye adds not just a different flavor, but also an abundance of further nutrition in the form of fiber, vitamins, and protein. The slightly chewier texture and more filling nature of this bread makes it a winner for fans of rye. Not content with just the standards, Pain de BRUN has a zest for creating new and different products. It may sound like a shocking combination, but the flavors meld surprisingly well, making for a delicious and different treat. The bakery’s next challenge is to incorporate miso into bread. They’re still in the experimental stage, but the result is definitely something to look forward to! Incidentally, there was a short-lived run of umeboshi (pickled plum) bread, but it just wasn’t to be. Not every invention can be a big success, but that doesn’t dull the bakery’s drive to keep up their passionate innovation! 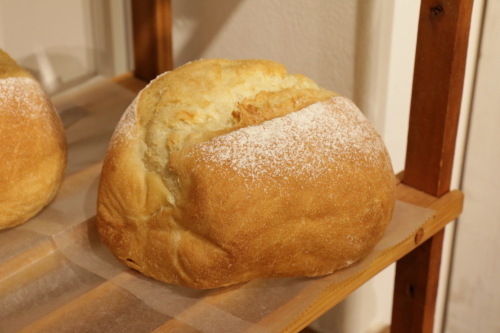 Here we have a bread with no added salt, known as “shionashi pan” (250円). Made in a style indicative of Italy’s Toscana region, this is a traditional bread that is a perfect – and popular – match for people trying to minimize their sodium intake. Some customers even buy this to use as baby food. Plus, the light flavors make for a great match with nearly any type of food. 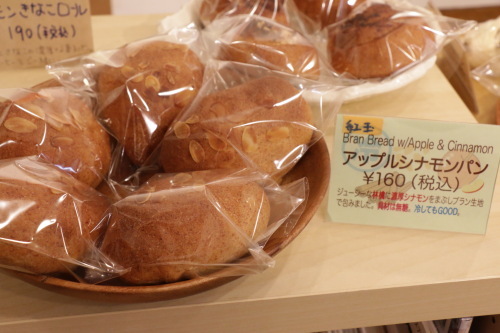 Currently popular is their apple cinnamon bread (160円). Apples and cinnamon are of course a sure-fire combination, but when brought together with the dough, it’s taken to a higher level, and the delightful fragrance will simply blow you away. Count on the bran used to add high nutritional value and to also play a leading role in bringing great presence to this expressive creation. For those looking for something a bit heartier, there’s a wide selection of sandwiches to choose from, all of them vegan-friendly. 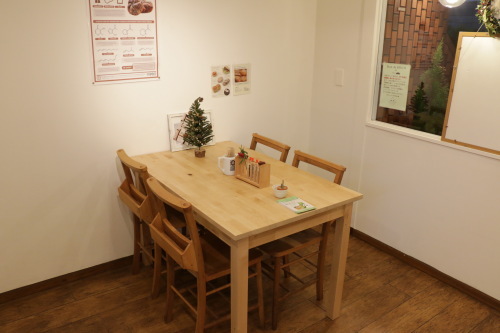 For those wishing to eat in, there’s a cute table with four chairs available for customers’ use. A varied assortment of baked sweets are also on sale. As is the case with their other goods, eggs and dairy products are not used in the production. Even the cookies are made sans white sugar, instead using brown or beet sugars. 1 Striving to make baked goods that do not burden the body and are also good enough to want to eat daily. Striving to make baked goods that do not burden the body and are also good enough to want to eat daily. 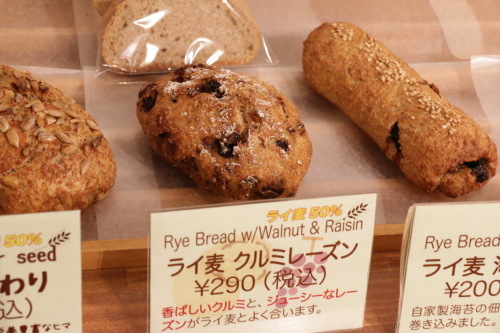 I sat down with Pan de BRUN’s owner, Ichie Nakamura, to talk about the business she has created. 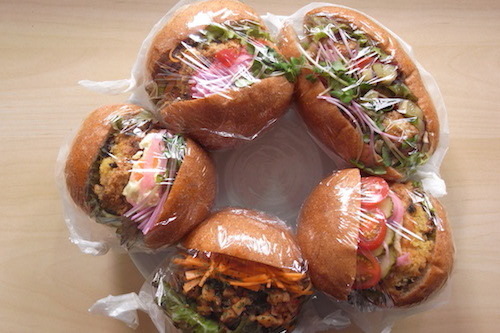 From long ago, Ms. Nakamura had loved egg and dairy free breads. After quitting her job as a secretary, she spent a good deal of time working as a bread making apprentice.Eventually, she felt confident enough to open Pain de BRUN. 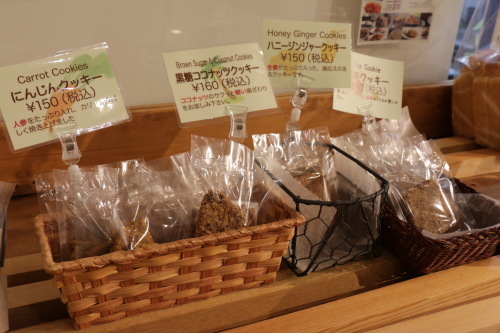 Ms. Nakamura’s love of rye, vegetables, beans, etc., came together to create a healthy and natural lineup of baked goods. And with an aim at staying a popular community bakery for many years to come, she has kept her prices delightfully affordable. A conversation with the owner about what makes Pain de BRUN special. Ms. Nakamura’s beloved rye makes bread bake up brown, and she wanted people to have an easy way to remember her shop as the one that makes brown bread. Thus the name was born. Even to lovers of fluffy, white bread, Pain de BRUN asks you to give their flavorful, firmer, brown bread a chance to impress. There’s a whole world of bread varieties out there waiting for your discovery! For those who already love rye and other heartier grained breads, it goes without saying that you are also warmly welcomed! While gathering information for this article, it struck me how many sets of mothers and their children came into the store. More surprising still was the amount of bread they bought! It being late in the afternoon, I imagine the families will enjoy their bread for breakfast the following day. Clearly, these are mothers that want to nourish their families with high quality, healthy bread. It is this kind of bread, and these kind of people, that make this tiny, much beloved bakery what it is today.